This advertised consultancy assignment will contribute to achievement of Result 3. The Consultant will conduct a systems audit of key influencers, stakeholders, and alliances for Social and Behavior Change Communication (SBCC) at the national and regional levels to support the USAID Tulonge Afya Project in Tanzania. This systems audit includes mapping SBCC systems within the Ministry of Health, identifying and summarizing SBCC stakeholders (Including IPSs and donors), relationships between SBCC actors, existing capacity strengthening initiatives, and potential in-country consultants at both the national and regional levels. Review USAID Tulonge Afya project documents and meet (in person or virtual) with technical staff to discuss project's expectations. With USAID Tulonge Afya staff's input develop criteria and search parameters for the SBCC Systems Audit at the national and regional level. This will serve as the guiding protocol for the SBCC Systems Audit. The protocol should include search and outreach methods. criteria for identification of key stakeholders and potential consultant roster. content to include in the report, a time line and work plan for completing data collection. The USAID Tulonge Afya staff will provide an initial list of contacts. organizations, and consultants. It is expected the consultant will build on this list. The report should be highly detailed with specifics of SBCC stakeholders mandate, activities, points of contact, future and areas of potential collaboration with USAID Tulonge Afya. Task 2: Conduct SBCC Systems Audit (Not to exceed: 15 days of LOE). Based on the agreed upon protocol (from Task 1), complete the SBCC Systems Audit. • Draft SBCC Systems Audit Report. The Landscape Analysis Report should follow the agreed upon format under Tasks 1. 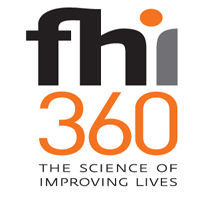 All reports submitted to FHI 360 should be copy edited and formatted. • Final SBCC Systems audit Report addressing FHI 360 feedback and comments. The total estimated duration of the assignment is 26 working days.